I guess that says it all, wouldn't you say? Facilitator Ed giving his very best advice to the avid membership who attended this workshop. Bob was very pleased with the response of members to this workshop and his 'outdoor room' was the ideal location for it. 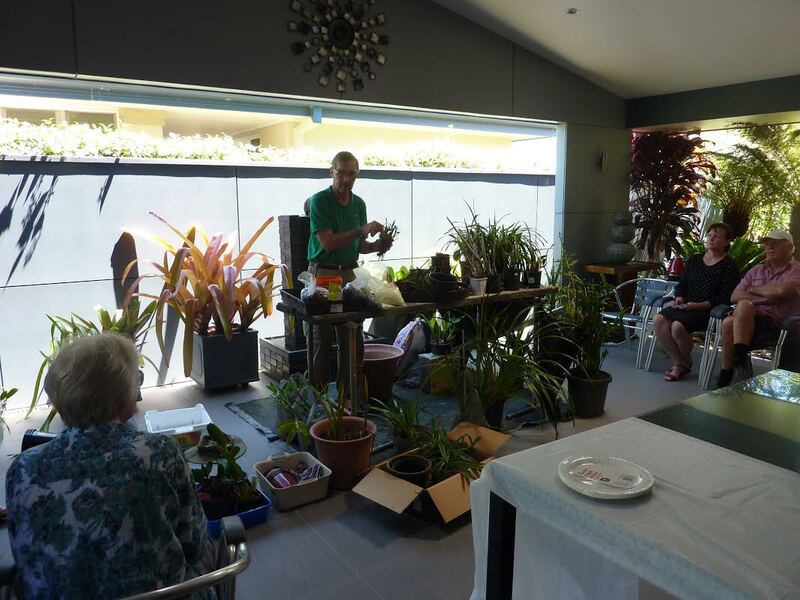 Some members brought along some orchids that were a 'bit sick' so they could get some excellent advice on how best to rectify the problem(s). 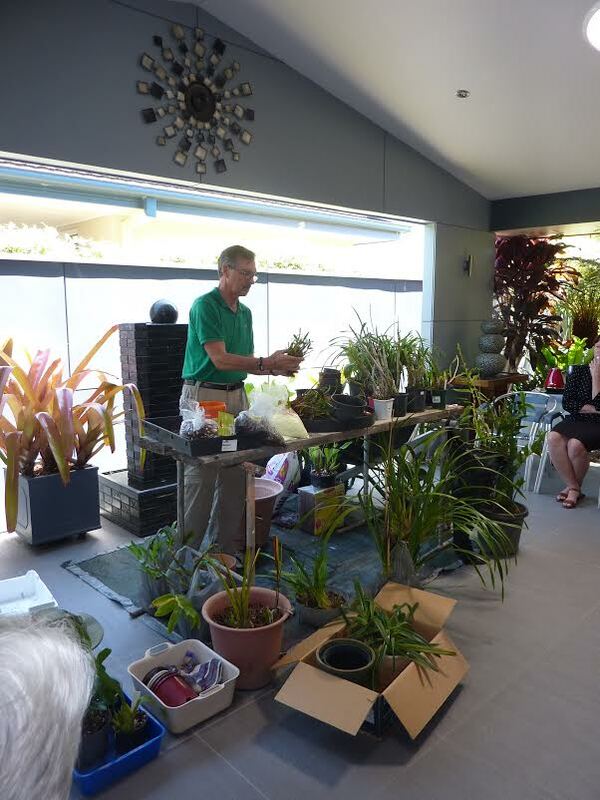 CHGC wish to extend their thanks to Ed Pearce (from the Coffs Harbour Orchid Society) who facilitated this workshop. 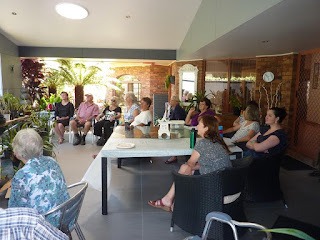 The whole day was a resounding success and a huge thank you has to go out to Gaye and Bob who made their home available for the workshop AND they also provided a lovely lunch for all attendees. 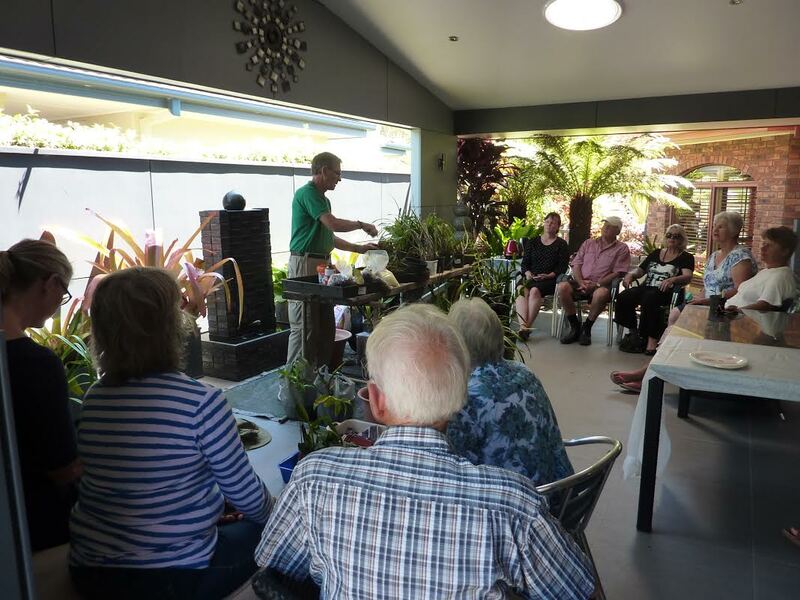 We are indeed very fortunate to have such wonderful members who are willing to organise such an interesting event on behalf of the CHGC.